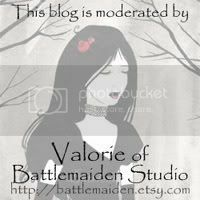 Battlemaiden Studio: There's no place like home. What an exciting weekend! It's finally come to a close, and I've got stories to share. I drove all the way to Houston this weekend because I found out (at the last minute... a usual) about a bridal show in Houston. I got to go with my sisters, Erica and Ava. We were there for hours and hours, and it was just insane. Signed up for lots of stuff, and talked to a lot of people, watched a bridal show, and had a good time. The entire show, I kept thinking to myself “Man, I love David so much, and I'm so thrilled that I'm marrying him, but I'm stoked that we decided to do a smaller wedding. I would go insane...” I had a good time though, and it was a lot of fun... and exhausting! Spent the evening with my brothers and sisters, and sat up until 3 am chatting with my Mom and Ava. Sunday afternoon, Ava and I packed up and hit the road, so she could come and spend the week with us before she starts college. We drove through some rough traffic south of Houston, then it seemed like we'd have smooth sailing for the rest of the drive. As we came up towards Huntsville, we started seeing storm clouds in the distance a bit, with tons of lightening. Before long, lightening was striking very close to the road, making us jump a bit. It started to sprinkle, and then out of nowhere the wind started driving into us bringing the rain town so heavy we couldn't see through it. We slowed to about 20 on the highway, and just barely saw the exit next to us. We pulled off the road at the Bucees north of Huntsville, planning to pick up some lunch and wait out the storm. Tons of people were pulling off to the rest stop, and things were just crazy. I pulled up to the front door of the store, and Ava pulled Morrigan up to the front seat so they could jump out and run into the building and try to stay as dry as possible. They hopped out of the car. I look over my shoulder to see if I can pull back into the traffic around the building, then look back to see if they've made it in the building. I don't see them, so I pull forward... and feel a little bump. I stop and look around, and Ava stands up and looks back in the car, then turns around and walks back in the building. I'm freaking out, but she seemed fine, so I go to park and run into the side entrance of the building. My back was drenched, my front dry, and the wind was blowing so hard that there was a man holding the automatic door closed, just opening it as people ran in for cover, because the rain was coming in horizontally a good 15 feet into the door and blowing merch off of the shelves. There were about 100 people in the store, and I couldn't find Ava. I called through the store, then finally found her in the restroom. Apparently the shock of it all made her sick to her stomach. We walked back into the store to watch out the windows. The entire front of this huge store was glass, as was the side where I came in. You could see the front of the cars parked in front of the store, and not much more. A bunch of girls near the front of the store started running and screaming, and a huge plastic gas station sign blew over and started crashing into the cars. A few seconds later, the side of the store that I came in blew in, glass flew everywhere, and I scooped my baby up and Ava and I started shielding her from the wind. I yelled for people to get to the bathrooms, and everyone started pushing in. Morrigan was shaking, crying “everyone's screaming!” All of this happened, from my walking into the store, to the rush to the bathroom, in about 5 minutes. David called as we were running for cover to see where we were. Ava answered, and told him “The glass just exploded, we're all running to the bathroom.” and told him where we were. We were very calm, in the zone. It was all very focused, and moved in slow motion. We got in the bathroom, and found a group of people with other little kids. We all sat and visited until the kids had calmed down. This was the point that Ava finally had a chance to tell me that, when she was getting out of my car her shoe fell off and blew under my car. She reached under to grab it before it blew away. I thought she had run in the store, and ran over her arm. At this point, she thought it was fine, it didn't hurt, no limited motion. One of the dads in the group made his way out to check on things, and came back to report that things had calmed down a bit. I walked out to see for myself, it was still raining pretty hard and the sky was a bizarre gray green color. I went back to the bathroom and sat with a woman with a little girl who was still shaking, and told Ava we were going to wait a bit longer. We made phone calls to family, and then I went out to explore the parking lot. There were a lot of cars that were smashed up pretty bad. Luckily, mine wasn't one of them. There was a fence board full of nails and screws on my hood, but no damage done. There was busted plastic from a gas station sign across the street blowing out all over the parking lot. People were photoing the damage to their cars. Ava and Morrigan loaded up, and we started back out on the road to Dallas. As we saw the damage down the road, things finally started to settle in for me and I started to shake. There was a huge RV turned on it's side, with tow trucks trying to pull it out of the street. Light poles had been torn out of the ground, and were tossed around here and there. We noticed that there was no south bound traffic, and as we slowly drove down the highway we saw an 18 wheeler that looked like someone had flown out the driver's seat. I honestly hope whoever was in that seat is okay. Traffic was lined up behind that, a horse trailer sitting oddly on the side of the road, while a woman lead her bloodied, limping horse around. There were houses on their sides, or twisted into odd angles. Garage doors to businesses were ripped off, billboards cracked in half or thrown in fields. Dead cows lay in fields, as others continued grazing near by. People were standing out of their cars, talking to their neighbors, waving to us as we drove by, taking video. More crazy weather as we got close to Dallas, but nothing nearly as exciting. Made it to Denton, filled up on fajitas, and finally got home and collapsed in bed. I was so happy to be home and safe again, and more exhausted than I had been in a long time. We went out today to have Ava's arm X-rayed. Luckily, there's no break, just bruising. She's in a little brace and will be fine. I grew up in Houston, and am very familiar with hurricanes. I will take a hurricane over a tornado any day. Hurricanes are predictable. You know they're coming. The wind is still fast, the rain still comes, the lights go out, windows break, and things flood. However, you know they're coming and how bad they'll be before they make land, and you've got plenty of time to get out of the way if you want to, or prepare to hold down the fort if you'd rather do that. That tornado came out of no where. I have never experienced anything like it. So glad you are all ok. Sounds terrifying!